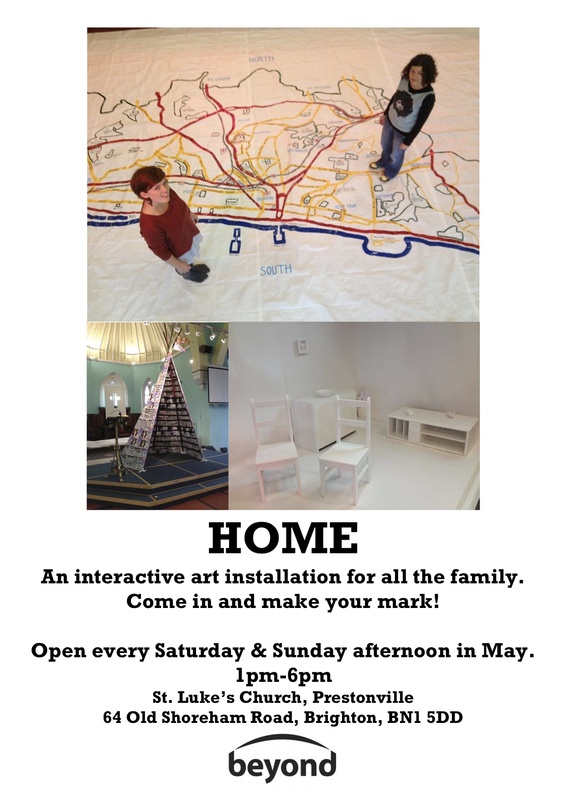 St. Luke’s church is hosting a Brighton Festival Fringe exhibition entitled ‘HOME’ with a number of different exhibits which will provoke you to think about what home means to you. This is a family friendly art installation with lots of things to do and contribute to including a giant map of Brighton and Hove which you can draw or write on, a white room which is slowly being turned into an abstract piece of art as visitors add coloured stickers to it, a recycled tepee made from property newspapers as well as two photographic exhibitions on the theme of homelessness and a series of paintings from the Equinox creative arts group. We’re open every Saturday and Sunday afternoon from 1pm-6pm until the end of May and it’s free. So come on in and make your mark! 10.30 on Saturday 19 May outside the Cafe. Some tools will be available, but the Council Ranger will not be bringing along the usual supply, so if you have your own garden fork and gloves, please bring them. The rain has been wonderful for growth of all kinds – but it looks as though the weeds are winning, at least in the lavender beds, so every bit of help is welcome, even if only for half an hour or so. Don’t miss the inaugural meeting of the Book Club, 7.30, upstairs at the Chimney House pub. We’ll be discussing Brighton Rock by Graham Greene.